Earlier this week, Microsoft released the final version of Microsoft Office 2013 to MSDN and TechNet subscribers. By now many of you might have installed Office 2013 RTM on your Windows 7 and Windows 8 machines. 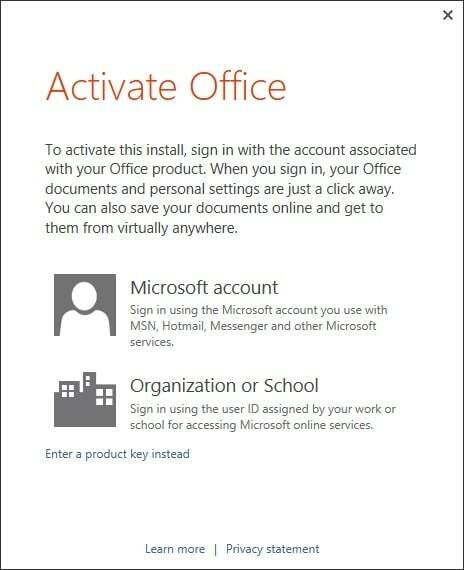 Unlike Office 2010, Office 2013 setup doesn’t ask you enter the product key during the installation. So, once you complete the installation, you need to enter the key and activate your product. Office 2013 is compatible with only Windows 7 and Windows 8 operating systems. Vista and XP users need to upgrade to Windows 7 or Windows 8 to experience the newest version of Office. Step 1: Once installed, run Office Word, Excel or any other program. 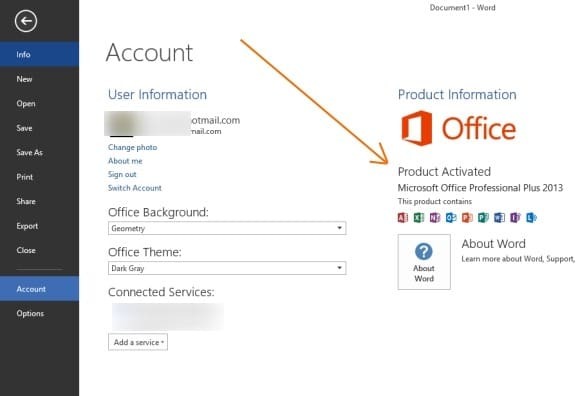 You will immediately see Activate Office dialog. 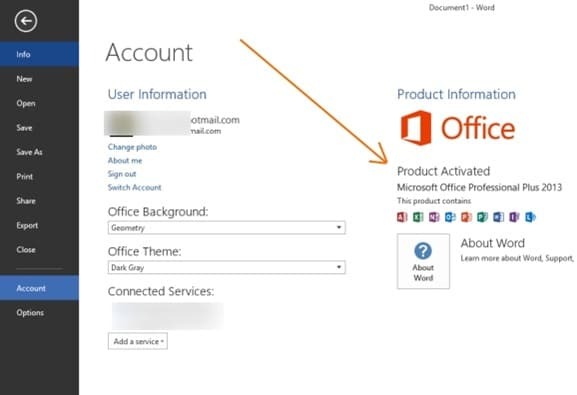 Step 2: Click Enter a product key instead option, enter the 25 character product key and then click Install button to activate your copy of Office 2013. I took the free update from Windows 7 to Windows 10 which seemed to be working okay for everyday personal operations. I did NOT receive the 25 character key! Now, suddenly, each time I open Word or Excel, I get a message saying I have four days to activate Microsoft Office Professional Plus 2013. There is no clear indication of how to do this; only a three step sequence that leads to a dead end: a message saying ACTIVATION NECESSARY. Incidentally over the years,! I have NEVER signed up for the Professional versions of Office! Is Microsoft trying to drive users mad? September 7 2015 at 3.37 p.m. I have downloaded Office 2013 with SP1 32 bit to a 64 bit HP laptop as part of our volume licensing entitlement. The program does not close automatically. I click the “Close Program” box and then “nothing” – I wait days and I am no further forward. Great thanks , it really save our money , anyway if you meet problem in the activation , u could search “ms key offer windows” by Yahoo to get the serial number , it’s also very convenient . I have set up a Microsoft account and have entered my 25-character product key and this still won’t activate my programs (install). I’m almost sorry I purchased this, when I purchased my computer. This is to be an easy set up, but it’s everything but that. I’v entered my key to office 2013 but its still not activated. I ve installed the Microsoft office 365 Home premium on my PC win8.1. However, when I opened the word account I didn’t see ‘product activated’ under the product information. I only see subscription product’..However, when I access Microsoft ‘My account ‘ all the installation details appear and I also have a confirmation email of successfully activated from Microsoft. please help me see the ‘product activated’ word.